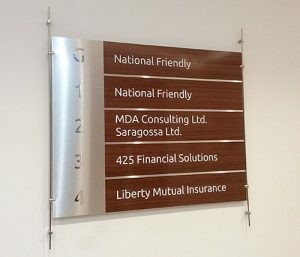 With over 35,000 members and having been established since 1868, National Friendly have an enviable reputation for providing Healthcare Insurance, Saving Plans and Investment Bonds. 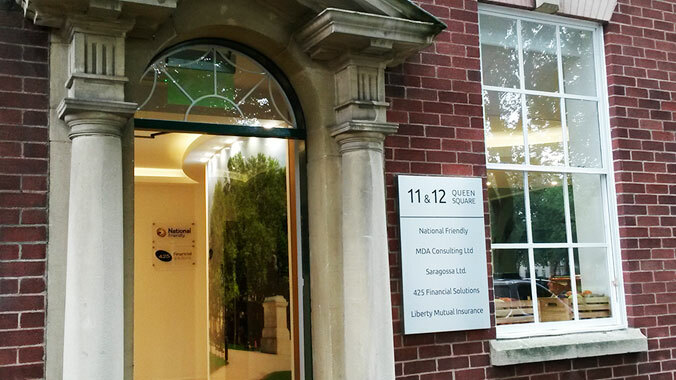 Following the company’s move into 11-12 Queen Square Bristol, the National Friendly brief to Capitol Signs was to design external and internal office signs that would welcome and direct staff and visitors throughout the building with ease. 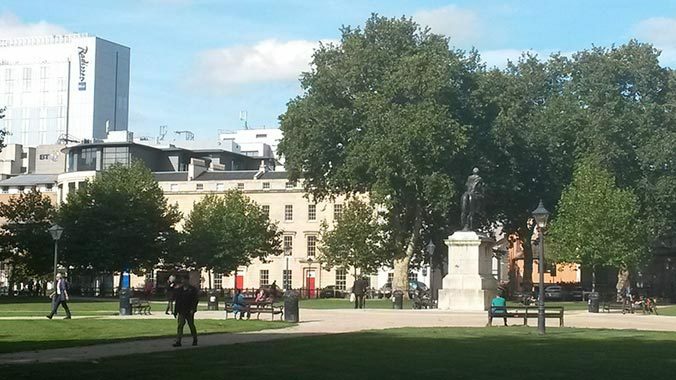 It was also a requirement that the signs, although being ultra modern, still had to reflect and sit comfortably with the existing Georgian building’s features. This we achieved by combining old and new design features and materials. 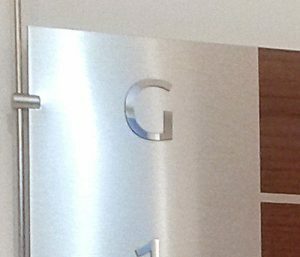 Satin steel rods along with brushed steel panels gave the modern touch to the directory signs. Then we gave it all a “twist” by adding traditional wood effect panels. These were designed to match up with the existing internal wood features that were in the Reception area of the building.